Please keep the receipt in a safe place. period begins at the time of purchase. For many of us, a vehicle is more than just transportation. center, or simply an expression of our personality. products that improve your driving experience. laser and safety radar systems. 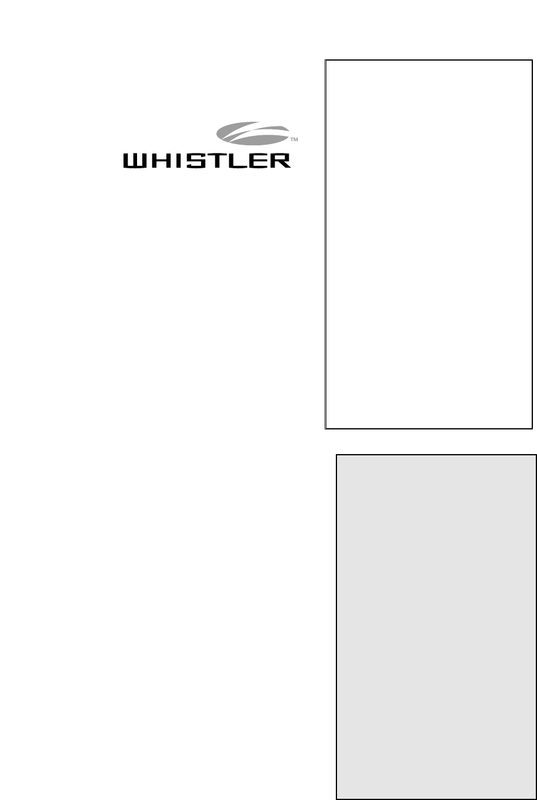 Enjoy your Whistler and please drive safely. though “A” is not indicated on the unit.